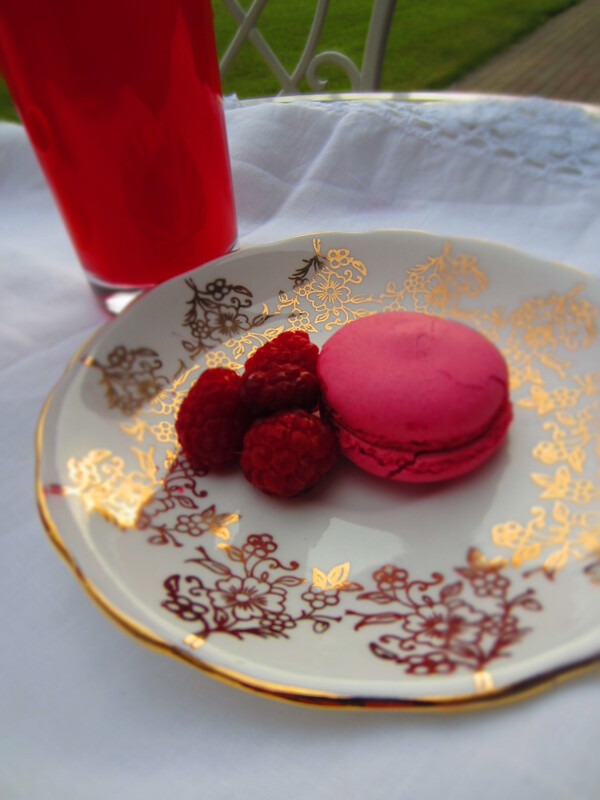 A pink lemonade and a pink macaron please! I felt oh so sophisticated and grown up as I called out my order today at my new favourite eatery. Let loose in the city for a day, I was soaking it up. I decided I definitely deserved it, after being cooped up for oh so long! Summer seemed to have finally arrived, all be it for a day, and the sun made everything brighter, clearer, happier. It always makes me smile to see city slickers in their shirts and ties escaping the office to join the regular shorts and t-shirts wearing crew that are the rest of us, and find a spot in the park to soak up the rays. Here in Northern Ireland, we can’t really call what we get for summer, ‘summer’. I’m sorry but rain, wind and cold aren’t what I’d typically choose for weather in July, thanks all the same. So when Ireland gets sun, everyone knows about it, and it usually becomes an unannounced public day of celebration, and BBQs are dusted off and up in action through-out the land, possibly never to see the light of day until next year. When I think of summer, I think of my mum’s fresh crop of strawberries, raspberries, collecting them daily as they’re bursting off their stalks. She always can be found in the kitchen, and sweet smells will waft through the house, of some new delicious recipe she’d found, to make use of her enormous pile of red juicy berries. Today my pink lemonade was like summer in a bottle. Yet I’m sure there were a whole load of other things in that bottle too. Nasties which probably could be done without. Though it was very pretty, if a little artificial. So following in my mother’s footsteps, I decided to try and make my own Pink Lemonade. Though as you can see, the raspberries played such a big role, and they really did dominate the colour, making it more raspberry than pink, that I thought it only right and proper to credit them in the name. 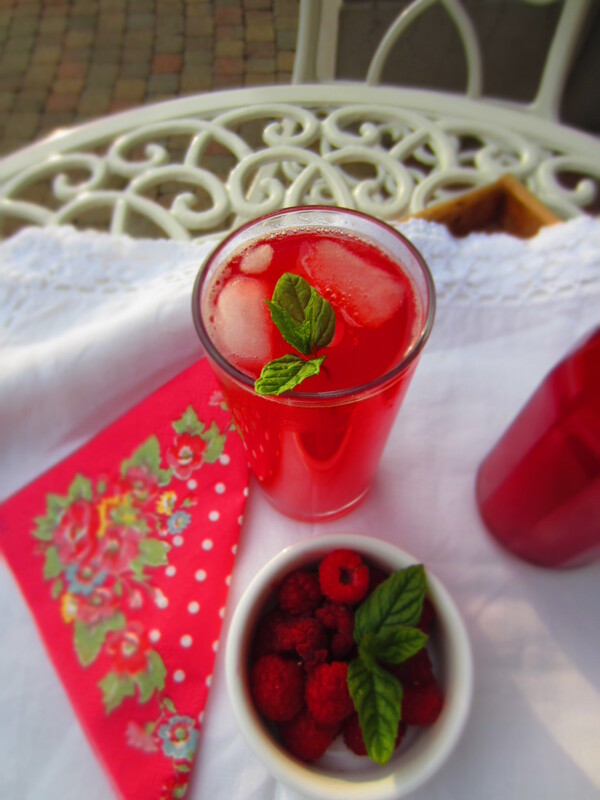 This is my homemade Raspberry Lemonade. Refreshing, juicy and tangy. Summer in a bottle. Best served with a sprinkling of sunshine and enjoyed outdoors. 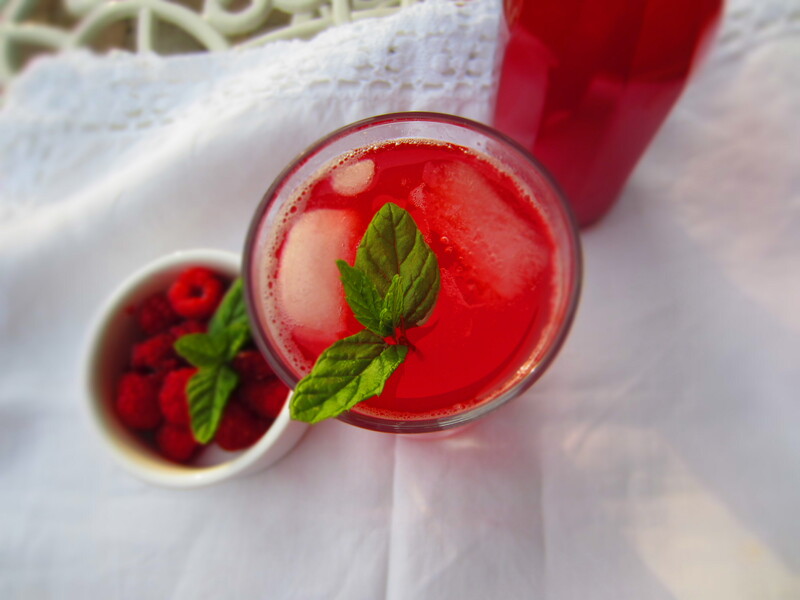 *I scaled the original recipe down to suit the amount of raspberries I had on hand, and this made enough syrup to fill the small glass bottle shown. 1. Place raspberries in pan, add caster sugar and leave on a low heat. 2. Slice lemon and oranges. Squeeze juice into pan, before placing the slices in. Add lemon juice, stir. 3.Pour over around 100ml water, depending on how much liquid is already in your mixture. 4. Bring to the boil, then simmer for 5-7 mins. Take off heat and allow to sit. 5.When cool pour through a fine sieve, (I added a muslin cloth) to remove all the bits. 6. Bottle, and when serving top the cordial up with sparkling or still water. Either works well! *Can be stored in the fridge for up to a week. 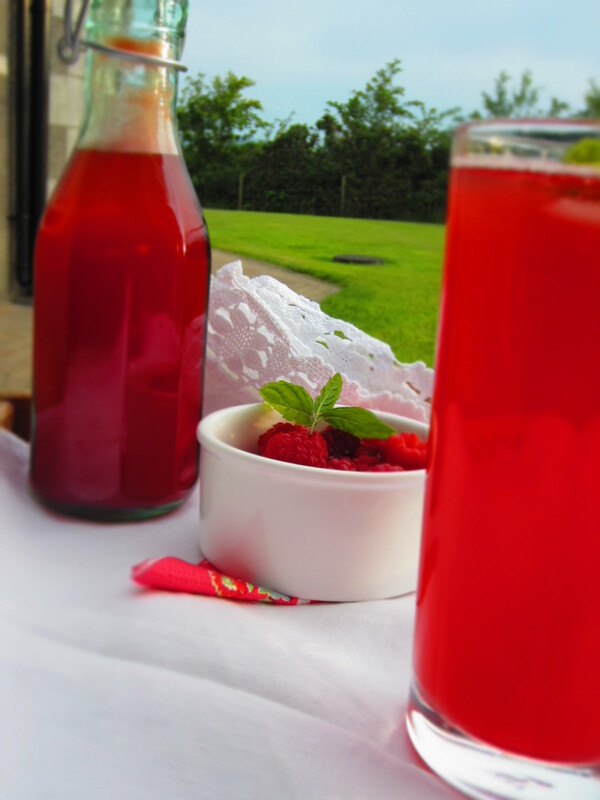 Such a simple and delicious summer recipe, please give it a try and tell me what you think! Oh and before I forget, I would to say a huge thank you to the lovely Choc Chip Uru over at Go Bake Yourself for awarding me the Versatile blogger award! This was such a surprise, I have only had this blog for just over a week now, so I really truly appreciate all the support and comments! Thank you! I am aware there are a few rules, a few things I must carry out after being given this lovely award, so here goes! 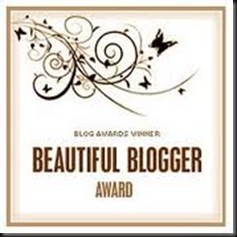 Thank the blogger who nominated you = yep done that! Include the award image in your post = see above! 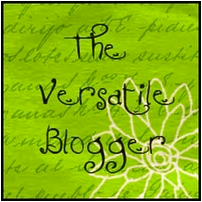 Copy the award image to your site = will do that shortly..
Let those bloggers know they’ve been nominated = with pleasure! 1. I have an irrational fear of wearing something black with blue jeans..
2. I used to think that ‘drink driving’ was having a cup of tea whilst at the wheel. 4. I have been lactose intolerant all my life but that don’t stop me enjoying lots of yummy ben & jerrys.. nom! 5. My dream first car would be a blue Nissan Figaro, vintage darling! And.. 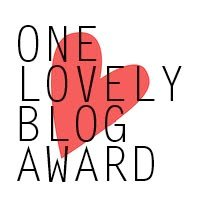 I would like to pass this award on to the next 15 lovely people, whose wonderful blogs have got me inspired and amazed by the blogging world I have just recently joined! Thank you all!